In this section you’ll find a range of practical ideas that we pray will help you build faith at home as a family. Feel free to browse through and find things to try together. We trust there will be information and resources that will bring you and your children closer to God. Researchers have found there are foundational truths that our children need to know and understand at different ages in relation to their own faith journey. How can we facilitate conversations about these things at home this week? the average parent has 3,000 hours per year to influence a life. Participating in acts of service as a household. One opportunity we have to do this is by filling up a box with small gifts for a needy child overseas through Operation Christmas Child. Here’s a story from Craig Scott (NZ Manager of Operation Christmas Child) from when the Christmas boxes were distributed last year. Read how our wonderful God cares for everyone of us and every little detail…. Faith and character both develop over time. We are in process. We aren’t there yet. And yet who we are already impacts our kids one way or the other. How we pursue God, how we love our spouses, how we treat others, how we respond to authority, how we spend our money, how we work, and how we communicate will all affect their values and perspectives. The dilemma most of us face is that we don’t have the margin or luxury to get all of those things right before we start parenting. It’s ok for them (our children) to see who we really are, especially if we want them to see the difference God is making in our families. I read an interesting and thought provoking statement this week that I’d like to share. I pray you will find this inspiring and comforting. No record is kept of what you type. Parents: this could provide a good starter for a discussion about sin and God’s forgiveness. In the days since Sara’s death I’ve had a number of conversations with parents who have been trying to talk with their children and answer some big life questions. I am not an expert in this area, but I have found a few key truths which seem to be helping our journey as a family. 6) Sara’s family and friends are sad because we will miss her here, but we can be happy too because Sara is with Jesus now, and that’s really cool. 7) Everyone who loves Jesus will see Sara again when we go to heaven too. …through attending Parents Inc Toolbox course. Toolbox is a six-session, interactive small group parenting programme. Using DVDs, manuals & informal discussion, these group provide a lively context in which to acquire and practice new skills. The material is well researched, creatively presented and offers parents a ‘toolbox’ of strategies. We are about to host a toolbox course for Parents of Teenagers, beginning on Tuesday 27 July. See Chris Broere for details. I wonder how many families have had discussions this week about going to church in the holidays when there is no Young Discoverers or Soul Train on. What are the benefits of being church and worshiping & growing together as a whole ICBC faith community? While our programme leaders take a break over the holidays, take this opportunity to talk at home about this. The more our children understand about why we do something, the more likely they are to participate, have a sense of ownership & get meaning out of what is said, sung, prayed and taught on a Sunday morning. Church is for all people who love Jesus—boys & girls, men & women. An online parenting forum recently asked this question. Here is one response from Tracy Parker that raises a perspective worth considering: “After 23 years of parenting I find that it is much harder to stay connected to my children as they are becoming independent. I have to be very intentional in my actions to let them know that I am still invested in their lives. This is much harder then when I was with them every day and had more opportunities. I find each moment with them now is very precious and I need to be good listener so that they will include me in their world.” I wonder what your response to this question might be. Feel free to send these to Melanie & we can share your wisdom & insights with the church family. Sometimes siblings can get on each other’s nerves. What better way to redirect tension than to think about the good qualities of one another. Whenever someone in our family is mean-spirited to another family member, the offender has to say or write four things he or she appreciates about the other person. This makes us thankful for one another and tender-hearted. It’s also fun to watch the other person take in the compliments. We conclude with all of us chiming in a good quality we appreciate. (Has great Christian values.) Now at 3.15 to 3.45pm on Monday to Friday. Age 5—12 & adults—Radio Rhema 1404 AM. An idea for families with older children—DVD night. Choose a good movie with great values that can instigate discussion and teachable moments. Some personality types prefer to practise in private, and learn to do it right before they join everyone else. That’s OK, but what can you do if this tendency becomes such an obstacle that taking risks, or potentially looking foolish, is something your child is just not prepared to do? To help your budding perfectionists, grow a family culture which celebrates those brave enough to take a risk, emphasises the importance of mistakes in helping us learn, and laughs with, not at, those who fall down while they’re learning. Make your home a safe place to be ‘imperfect’ by not being too harsh on yourself when you slip up either! Us to take God’s word and God’s ways and ‘impress it on your children’. Here’s a suggestion from K Johnstone -Children’s Ministry Magazine, of one way we can nurture our children’s faith. ‘I love to make use of the time in the car taking my 13 year-old daughter to and from school. I share what I have learned that day from my time with the Lord. It’s easy for life to get busy and weeks to go by so quickly. I’d like to encourage you all (as families, couples, flats, individuals…) to take some time this week to do some self evaluation. How do we spend our time and money? What are our priorities? What really matters? Are we living today in a way that we will have no regrets? Heavy stuff I know, but lets all make sure we do life today in a way that will count in eternity. Parents, grandparents, aunties/uncles etc, take time today to talk with the children in your life about Jesus, and things that really matter. All kids have their ups and downs. Some more than others. I want to ask you a favour—please talk with your kids. So why am I telling you all this? Each day has its own challenges; that’s for sure. So kids need a person who they can share anything that’s on the minds with. They need to hear loving words so they don’t believe all the rough stuff that they hear everywhere else. And you are the person that needs to tell them those words. If you’re not that person, who is? So talk with your kids. Tell them the words they need to hear. Here’s an idea from Children’s Ministry Magazine: Grab a large piece of paper & work together to create a timeline of your family’s journey with God so far. Use words, drawings, and Bible verses. Include marriage and birthdays as well as family milestones, such as when a child entered preschool or when the family moved. Add fun memories and difficult times that affected everyone — illnesses or injuries, vacations, or changes in jobs or schools. – What are your family’s best memories? What are your future dreams for your family? -What difficult events have you overcome as a family? How did those events make you closer? How have you seen God moving in your family through the years? How has your family experienced God’s faithfulness? When you want some time out with God praying for your kids etc, light a candle and then your kids know mum is having time out, when you blow the candle out you’re ready for them again. 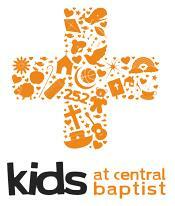 Talk to your children about what they learnt on Sunday morning at kids church. Plan an easy tea & an activity that everyone can enjoy together. What about homemade burgers, chip butties, takeaways, soup & buns, or pizza you all make together. Try eating in the backyard, or at the park, going on a bike ride together, playing soccer or non-stop cricket, or staying up a bit later to play a board game. Maybe an adult and child could work together each time to plan what happens on the night. If evenings don’t work, choose another time to be your family’s special time together. Over the last few days our family have talked about life and death. It would be easy to avoid such heavy subjects, but I’ve found that my preschoolers have accepted our simple explanations, and asked meaningful questions. What a privilege to be able to explain that everyone who loves Jesus will be with him when they die. I’d encourage you to allow such conversations to happen naturally at home this week. Pray for God to guide the conversation, your answers and the thinking and processing that will continue after the conversation has ended. We regularly have a cheap meal, eg. Soup and we put $5 in a money box to give to those who have less than us. There’s no better way to connect with your child than by spending time one-on-one with him or her. Just special time alone with you, Dad, Mum, Grandparent, Auntie, Uncle, friend… Why not take each child to breakfast and get to know them better. We think you’ll find they enjoy it! Listen without interrupting, and take genuine interest, even if the answers don’t please you. Take notes, then it will show that you’re really interested.